Names are very personal choices. However, there are some names though that just seem to work, regardless of family history or background. For this list of best girl names, we have compiled some of the most popular names, as well as some less popular names and names that carry a strong meaning. So take a look through the following names and see if there is a name that works for you. Also, if you are looking for great boys names, make sure that you visit our list of the best boys names for some great ideas. The name Dahlia means “valley” and is also the name of Mexico’s national flower. It is Scandinavian in origin and is a less popular name in the United States. So if you are looking for a name that isn’t quite as popular, Dahlia may be the choice for you. Sophia was the most popular girl’s name for 2014. 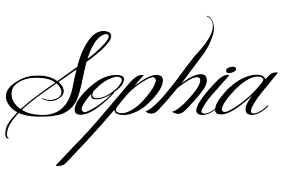 Greek in origin, it means “wisdom.” Some of the famous people with the name Sophia include Sophia Lauren and Sophia Bush. Meaning “graceful” or “boomerang,” Kylie is of both Irish and Australian origin. A moderately popular name in the United States. 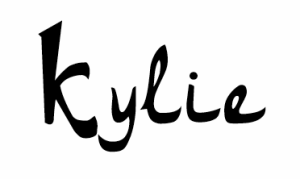 The name Kylie is perhaps best associated with singer Kylie Minogue or Kylie Jenner. Not just for bird lovers, Wren is a sweet name that is unique, but still pronounceable. Perfect for the free-spirited, Wren is a great name for those looking for a less traditional name. If you love all things nature, Wren is a great name choice. Babies are a joyous occasion, and the name Jubilee celebrates that. The word Jubilee is usually in reference to a commemoration, or yearly anniversary. If you name your daughter Jubilee though, you will be able to celebrate her every day! A strong, gender-neutral name, Sloan is a perfect name for the girl that is going to do great things. Sloan was originally a surname and can be spelled with or without an ‘e’ at the end. It is a less popular name that is perfect for those wanting a unique name. A variation on Leila, Lila means dark or dark-haired beauty. This is the perfect name for the little dark-haired beauty in your family. Lila is also the perfect name for purple lovers, as Lila means lilac or purple in several languages. Amelia is an older name that has gained popularity in recent years. Meaning industrious or defender, Amelia is a great name for those who want a traditional name with a great meaning. Selena is a beautiful name that is perfect for a fun and playful girl. It is inspired by Selene, the Greek goddess of the moon. As a bonus, several popular celebrities have the name, Selena. Making Selena a great name for those who also like pop culture. Another older name that has had a surge in popularity in recent years, Rosalie is a great, traditional name for the sweet girl in your life. With ‘rose’ as the base of the name, Rosalie is also a great alternative to traditional floral names like Lily or Dalia. A variant of Margot, this French name is unique without being hard to pronounce. Perfect for the independent, adventurous girl, Margo is a great name choice for those looking to stand out in a good way. Conjuring up images of class and grace, Ophelia is an older name that works just as well in modern times. Try this name out with a fun, gender-neutral middle name like Parker or Morgan. A sweet name that toys the line between popular and unique, Nora is a good choice for those who want a short, pronounceable name that not everyone has. Cora is an older name that has spiked in popularity in recent years. And for a good reason – Cora is a pleasant-sounding name that is easy to spell and works well with most middle and last names. Not just a season, Winter is an excellent name for baby girls born in the winter months, or for those who just love the winter season. As a bonus, Winter works well with most middle names. This makes it a good choice for those who want to use a unique middle name. Often spelled as Stevie, Stevi is a fun alternative. Perfect for daughters of Steves, Stevi is a strong name that is a great choice for those who want a good gender-neutral name. Another gender-neutral name, Charli is the perfect name for the sweet, funny girl in your life. And, for twin girls, Charli is the perfect pairing to Stevi. A French name, Adele is a name that can also be spelled, Adelle. With either spelling, the name is pleasant to hear and to see, making Adele an excellent choice for sweet, playful girls. Narrowly missing the top 10 most popular girl names for 2014, the name Charlotte is of French origin. It means “little” or “womanly” and variations of the name include Carlotta and Charlette. Italian in origin, the name Camilla means “attendant” or “helper.” The alternate spelling, Camila, also worked its way into the top 50 most popular girl names for 2014. An older name that has gained increasing popularity in recent years, Lillian means “Lily.” It is of English and Italian origin and is a variant of Lila. A less popular name, the name Genesis means “birth.” Greek in origin, Genesis is also the name of the first book of the Bible. Hebrew in origin, the name Hannah means “gift of God’s favor” or “God is merciful.” For 2014, Hannah was of the top 25 most popular girl names. Hannah is also the name of a biblical character. When it comes to picking a name for a child it pretty much all comes down to personal preference. 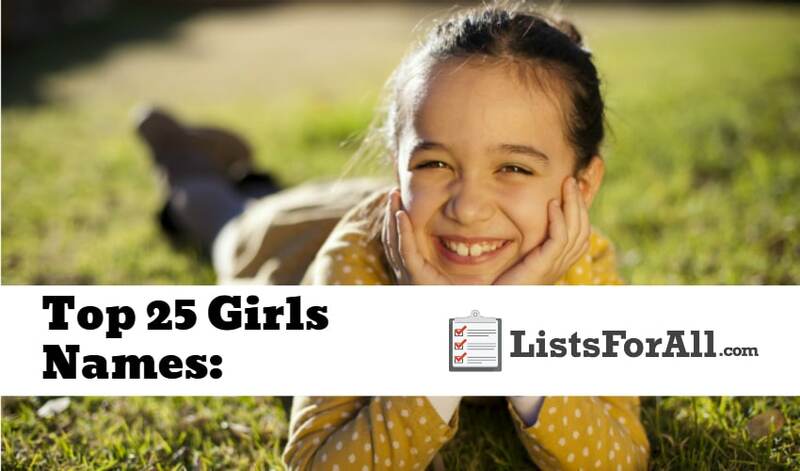 We hope that this list may have inspired you with a particular name, or maybe at least got the ball rolling for you. If you did decide on any of the names above, we would love to hear in the comments below!